BCYC began in 2001 and has grown into the best “virtual” yacht club on the Bay. 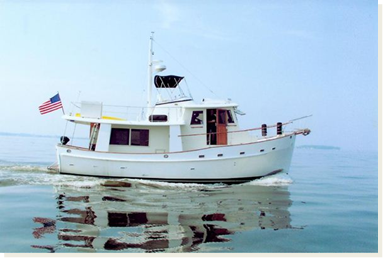 We are a great group of boaters, both sail and power, who enjoy being on the Bay in our boats with our friends. Whether you cruise, sail single-handed or prefer to crew, whether you are single or coupled, we guarantee you will find yourself among folks who care about you! Since we are “virtual”, we take advantage of the many great venues available to us in Annapolis and around the Bay for our events. And when we are on land, we are usually just a few feet away from water. What is it that we do at BCYC? BCYC has a full Calander of events, some in local anchorages and marinas, some on land. You can reserve a slip, raft up, drop anchor or arrive by land yacht. If you enjoy the challenge of a longer cruise, join our Annual Club Cruise, a colorful and well-orchestrated 7-day adventure exploring the beauty of the Bay. The themes and itineraries change each year and you have the pleasure of deciding how to participate; you can join for a few days or be adventurous and go the distance. 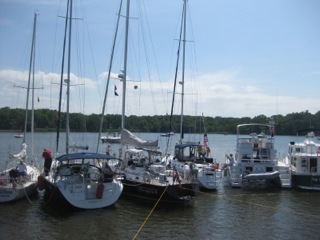 Visit with a member and see why Back Creek Yacht Club is the best choice if you want to have fun on the Bay. To join our wonderful club refer to the Membership tab for details. What We Don't Have is a long waiting list, pricey initiation fees, or expensive dues. What We Do Have are experienced club- and cruise-organizers, outstanding members, and great fun at every event.